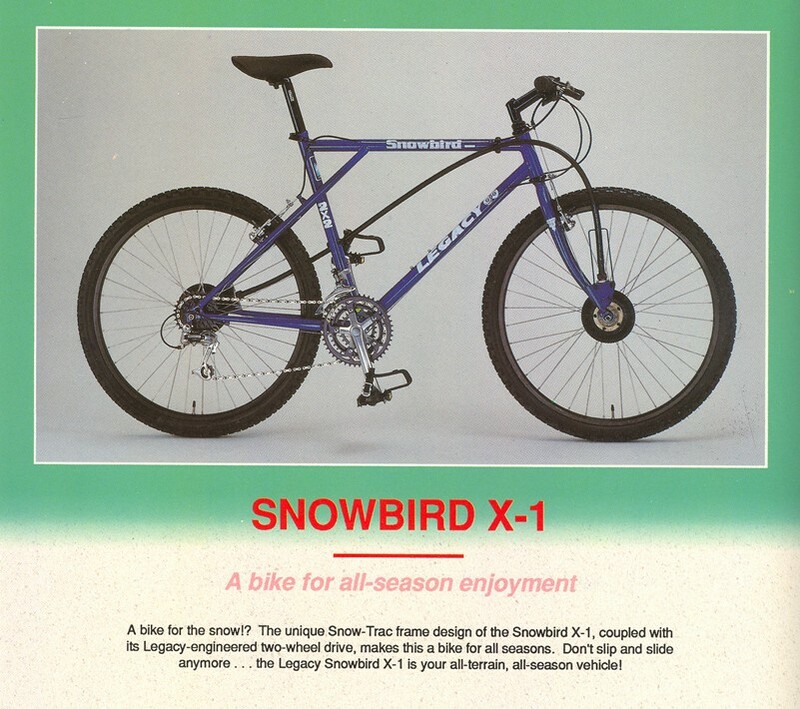 If you came for the weird bikes, don't leave before you check out the MOUNTAIN BIKE page. 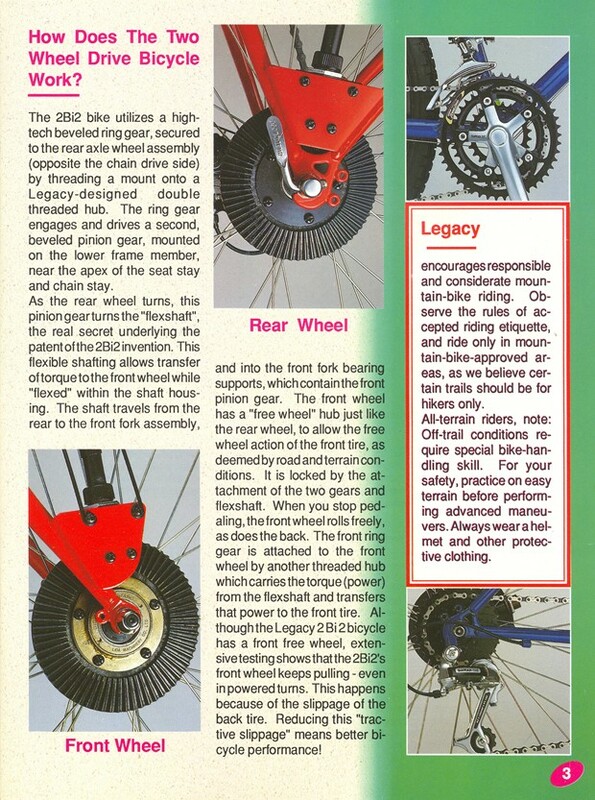 This is page one of the weird bike stuff. You can click here for more on PAGE TWO. 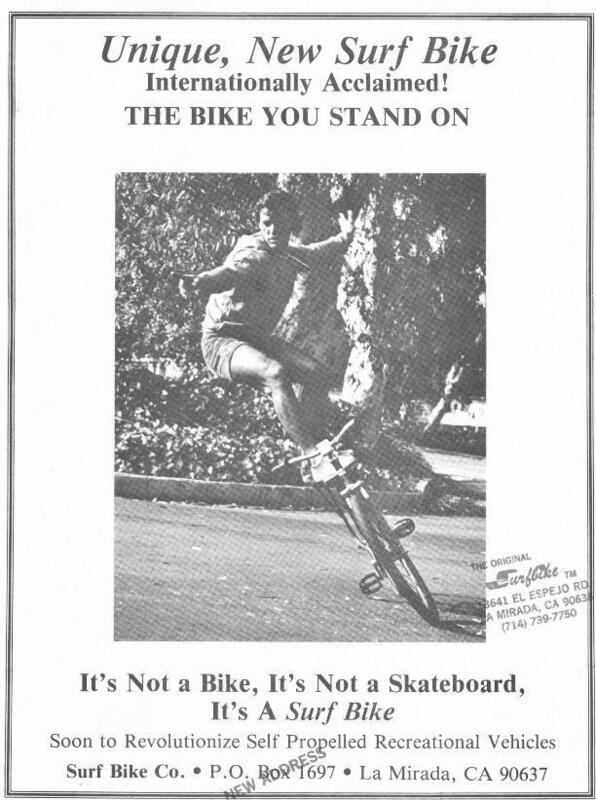 Because the bicycle is already a very efficient machine, not many people can pull off a major change in the direction of the sport like the mountain bikers did in the '80s. That does not keep people from trying. 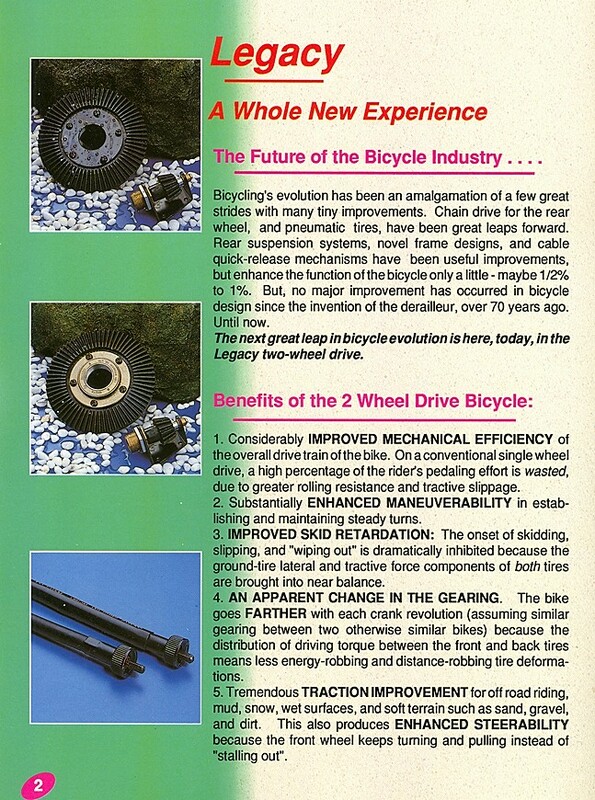 For a number of years I attended bicycle trade shows on a regular basis. At every bike show, if you look in the last stall in the men's room, you will find some off-the-wall individual has rented it to sell a product which will re-invent the sport, or at least improve it enough that he makes some money. I always pick up the literature, and I have started scanning some of my more unusual files for your amusement. This is page one, so don't forget to click the link to the next page. 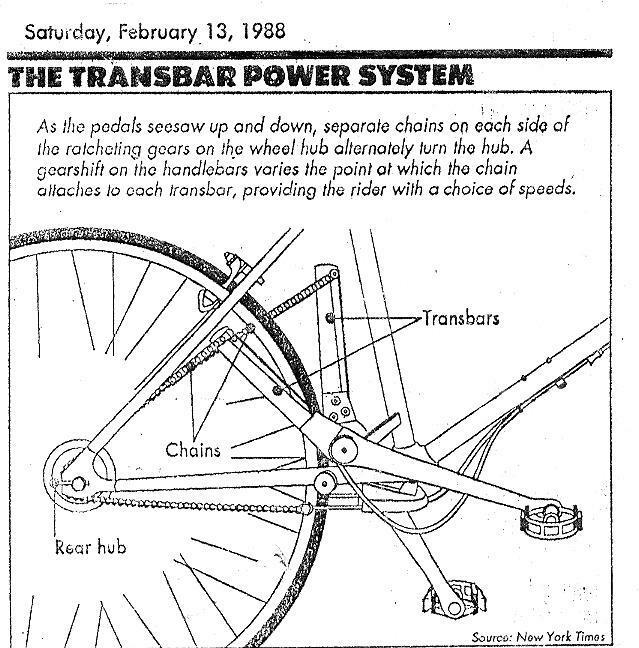 No weird bicycle collection would be complete without the Alenax, driven by "Transbar power." 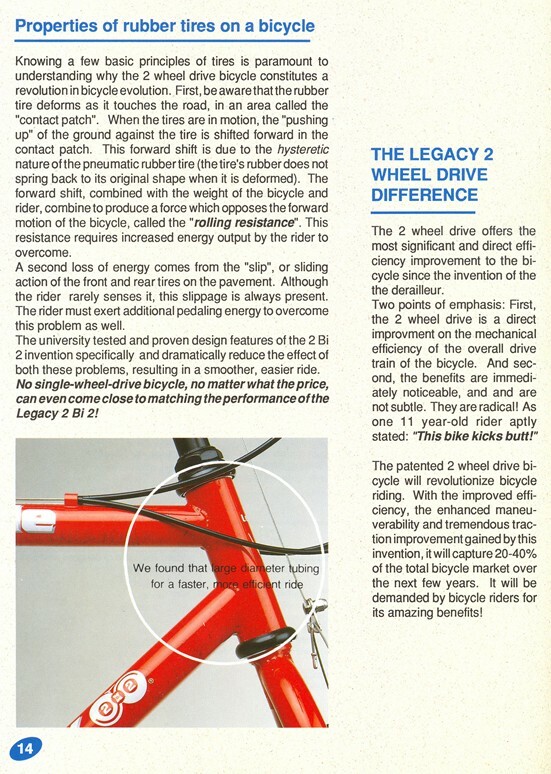 One thing this page cannot convey is the pounding disco theme song that accompanied the expensively produced video that ran nonstop in the Alenax booth at the trade show, and the gorgeous and totally bored models paid to ride the bikes (on stationary stands) in lycra cycling clothes. 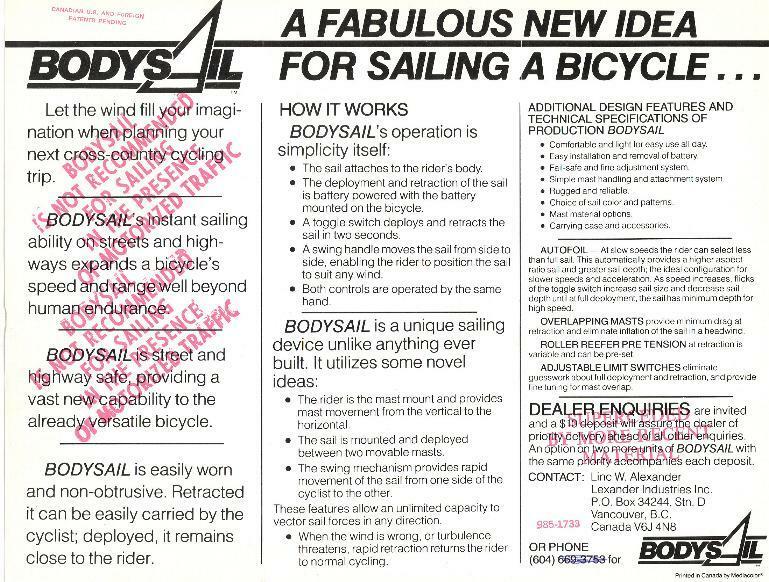 Someone spent millions of dollars on design, production and publicity for a product that my first ride revealed as the most bogus bicycle ever designed. 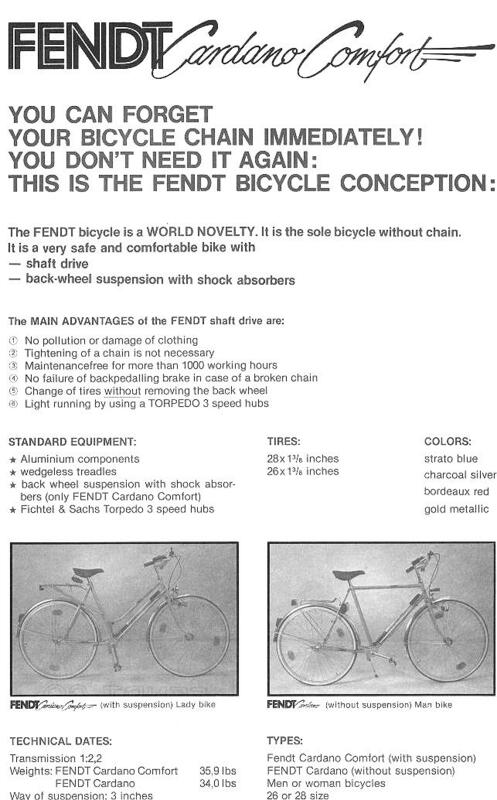 The only way to sell one would have been to deny the customer the opportunity to ride it first. Of course, now I wish I had bought one, because it would be so collectible. This product deserves its own page and someday it will get one, because I have a pile of the beautifully printed literature. For now, enjoy these morsels. Here is my photograph of that incredibly bogus mechanism. Isn't this special? An international "forbidden" symbol with the circle and slash over a traditional crankset. 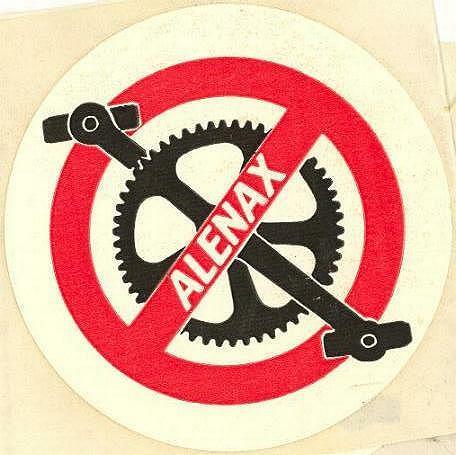 This was a sticker the Alenax company handed out at the bike show, symbolic of the intense publicity effort that failed to move this turd. 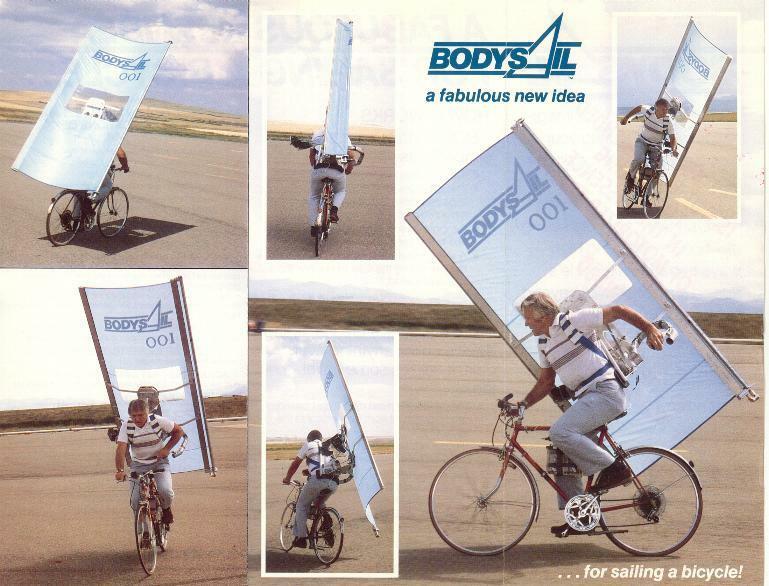 The BodySail is our most popular weird bike. Is it just me, or does this guy look a little out of control? 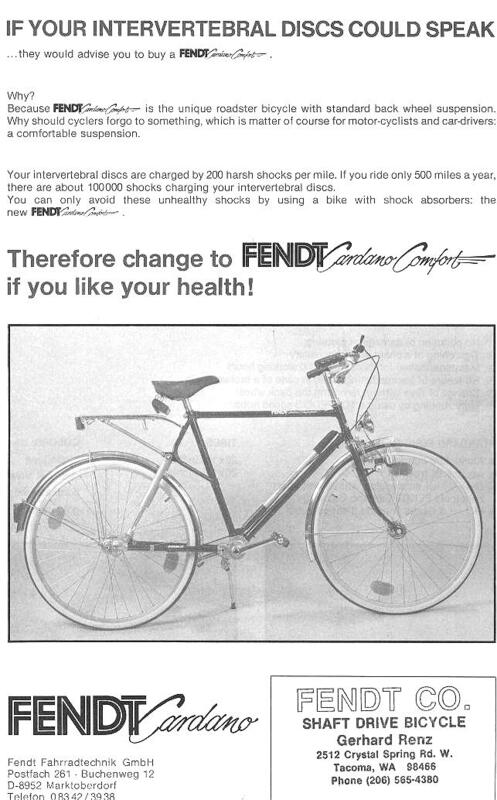 Note that in the largest photo, the negative has been reversed so the brand name reads correctly through the sail, but it puts the cranks on the wrong side of the bike. Could he have picked a cheesier bicycle to use for his demonstration? Here is former Giro d'Italia champ Francesco Moser shilling for a bike whose name means "The Ant." The idea is that the bike comes as a modular kit. You have tubes, wheels and joints that you can combine in any number of ways to make several types of bogus little bicycles. 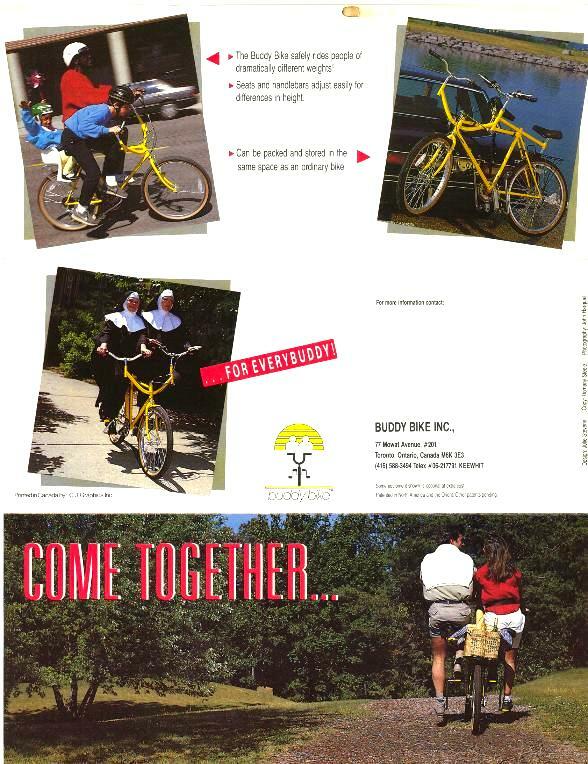 The Buddy Bike. All the disadvantages of a tandem and none of the advantages! I love the tagline on the last image of the couple riding into the woods. This must be safer than regular cycling, since a helmet is apparently not necessary. 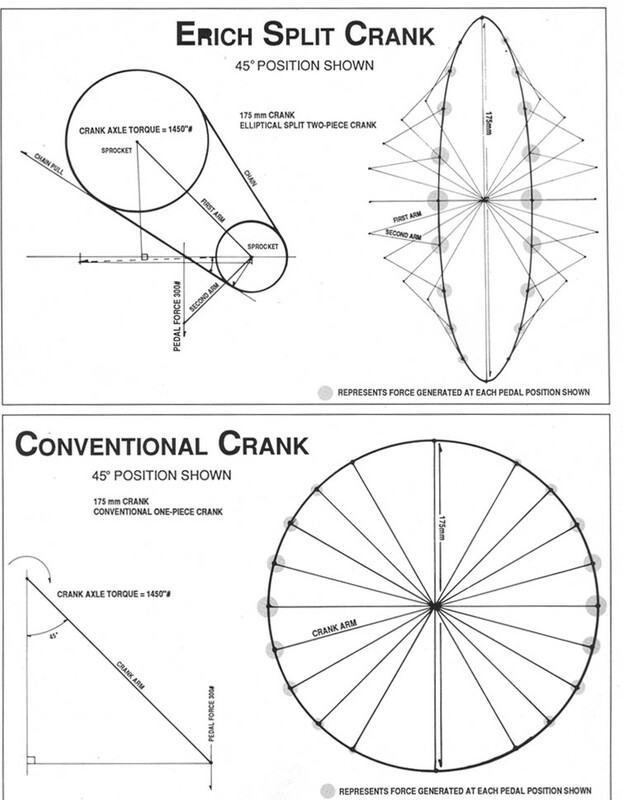 What happens when the pedal hits the ground? 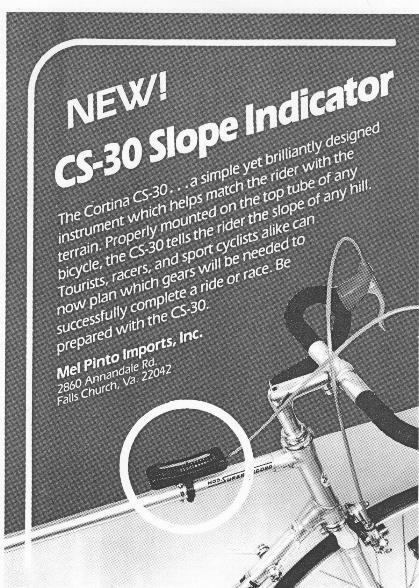 The CS-30 Slope Indicator is a little pendulum with a pointer that tells you how steep the hill is that you are either climbing or descending. Because as we know, that is the only way one can choose the proper gear. 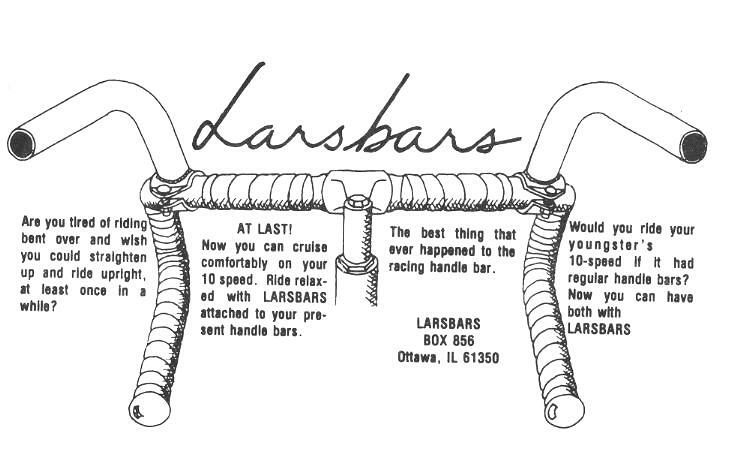 No wonder it has taken the cycling world by storm. 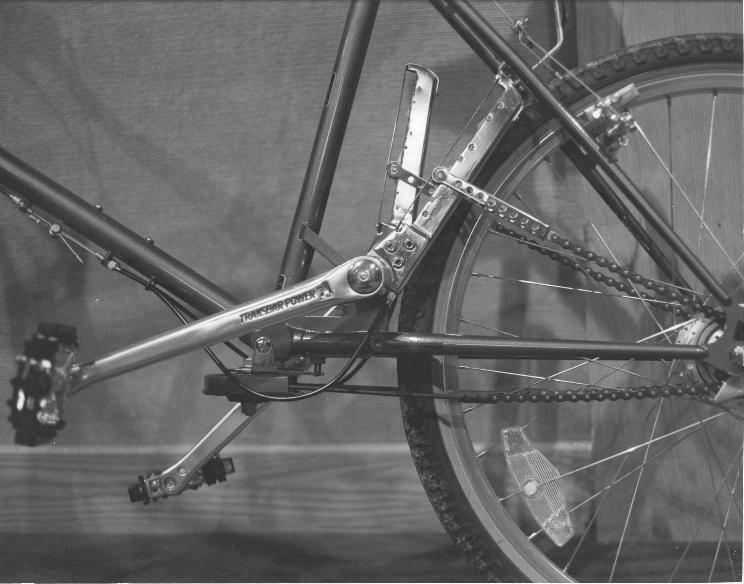 The Power Pedal slides in and out on the crank, so it's shorter on the upstroke and longer on the down stroke. Why does this remind me of a perpetual motion machine? 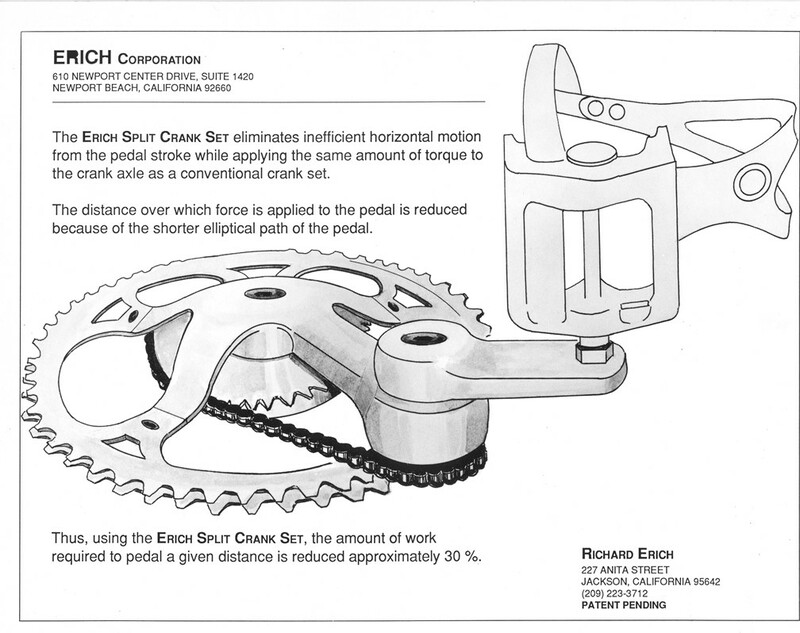 The Erich Split Crank Set eliminates...well, you get the idea. 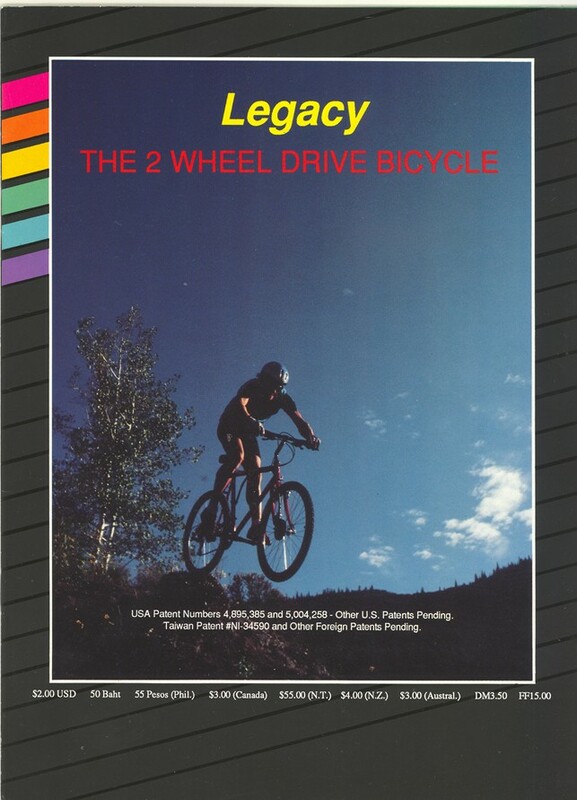 Legacy 2 wheel drive! What a concept! 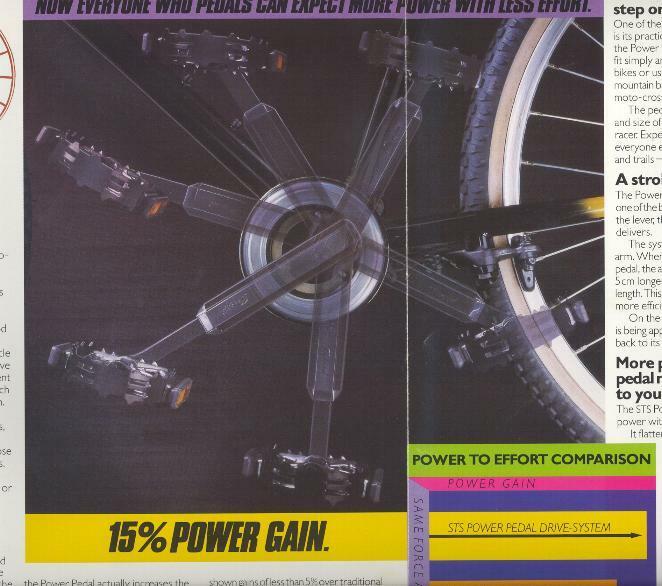 It's going to take over the mountain bike world, or at least it was in 1991. Wha hoppen? Well, one thing that happened is that it didn't work very well. If the front wheel and the rear wheel turned at different speeds, sometimes things broke. But the brochure was beautiful. 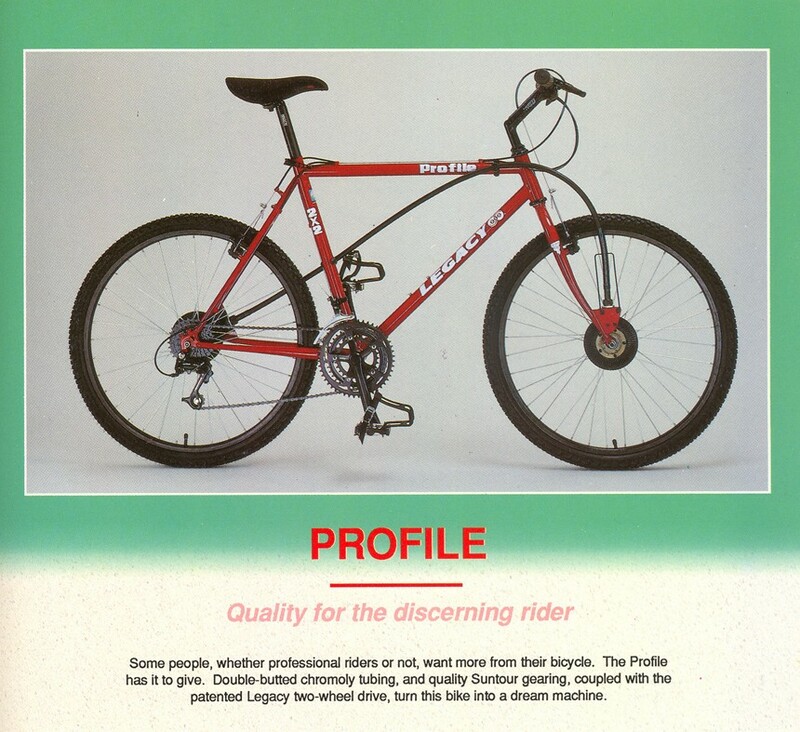 PAGE TWO of Weird Bikes is a click away. The bikes there are even weirder.